I've seen a lot more animal awareness posts lately, in the news, on facebook, online etc... where people are recognizing that animals have feelings, experience joy/fear/love and other emotions- which I feel in part is a kind of progress - but at the same time, IS IT REALLY THAT SHOCKING THAT AN ELEPHANT CRIES UPON RESCUE AFTER SPENDING 5 DECADES IN CHAINS? Anyone who's pet a dog, or cat, knows that they prefer to be loved, and shown affection, just like any animal, rather than be beat, abused, chained up, or isolated. There's another video of a wild cat who kills a baboon, and then once realizing the baboon had a baby with her, protected the baby (until finally the baby died of exposure). Everyone is so shocked that animals have these traits, of being sensitive, pure-hearted, and not just emotionless, non-beings. Especially now, for me, as a mother, seeing another baby, of any species brings forth a sense of maternal instinct (and many fathers can agree). Humans really are the only cold-blooded killers, killing without reason, without remorse, without conscience, and when we see an animal display such compassion towards other animals or towards humans, we see them as wise. Why then with all our useless, and careless killing do we see ourselves as wise? I generally don't watch any of these videos, or read any of the articles beyond their headlines, because there is usually too much violence, and brutality in them (even the ones with happy rescue endings) and I don't want to put those pictures in my head. For me, I don't need any more fuel to my vegan fire to know I'm making the choices I am with a purpose, and to continue to do so. I'm not against those videos, and articles, and media coverage, because I think that nonvegans who see them are exposed to open up their perspectives on the need for animal rights. But seriously, why is it SO SHOCKING and UNBELIEVABLE that like us, animals feel pain, experience fear, express joy, and only want to live free, happy, loving lives? I'm back! Life as a new mom has been an exciting adventure traversing and embracing sleeplessness and all the joys that come with creating a new perfect little human. My daughter is growing up so fast (almost 9 months now), and as she gains the abilities to be more and more mobile she is keeping me on my toes, but also able to explore her play areas and entertain herself with self-directed play for short periods of time. This means I am (hopefully) back to blogging! I have moved my computer out of the office and into her play area in preparation to write again (even if just in quick bursts of insights, inspirations, recipes, and journaling). I am excited to report on the challenges we face, the fun we have, and the friends we meet as we live through our vegan journey here in Austin, TX. More to come (apologies for any broken links or images as I redesign and get everything active again)! 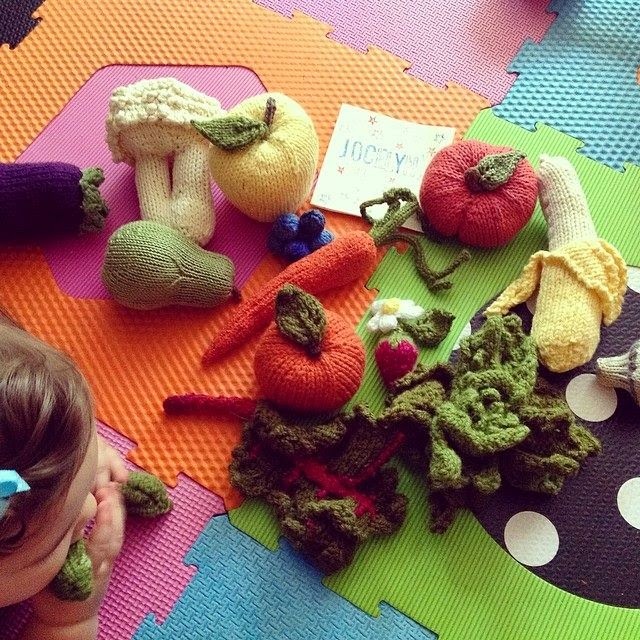 Check out these awesome vegan baby toys a friend made for us! Hoping to eventually come back to Vegan Show and Tell post-baby... Until next time! 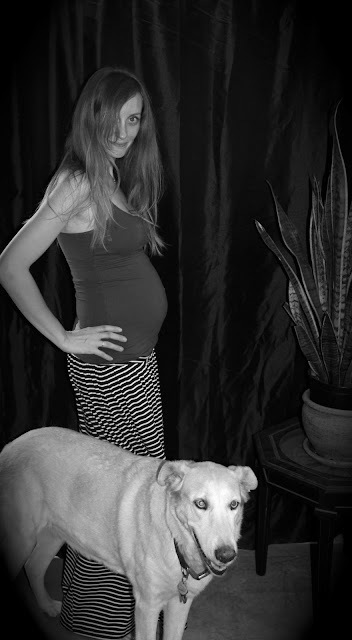 Update: Since I wrote this post, I have researched the "high cholesterol phenomena" and the obsession with lowering fat-rich foods that are actually super beneficial to our bodies' chemistry - in particular when pregnant and nursing. Coconut oil, nuts, and avocado are awesome and I eat them as much as possible! As any of my readers could have guessed, as my life and work became overly busy, the consequence was that Vegan Show & Tell went vacant over the past several months. A recent change of events has inspired me to sign back in with more dedication and passion for healthy and harmless lifestyles, in particular my own. As a vegan for going on 12 years now... with a solid 8-9 years prior being a strict vegetarian, I thought it would be interesting to have some blood work done. Come January I will be entering my 30s, and as I get older, I want to take care of myself. I wanted to see where my B12 levels were at, along with finding out what these past two decades of adhering to a morally conscious existence has done to my insides. In particular since I grew up as the only vegetarian in my large family (6 siblings, two sets of parents, dozens of cousins, aunts and uncles- and only one aunt being vegetarian in the whole bunch), have I been doing it right? There is such a strange, overwhelming urge for others to obsess over protein consumption, especially when you tell them you are vegetarian or vegan. And with that obsession, I felt cornered into having a full diet of vegan proteins. "Lots of nuts!" and "Lots of Avocado!" and "Lots of Beans!" Those are all the healthy proteins, right? I should be eating a lot of them. B12 is hard to get as a vegan, so I consume Nutritional Yeast ("Brewer's Yeast") on just about every meal. It helps that I love the flavor. I found a medical oasis in the middle of meat-eating Texas. Dr. Linda Carney is about an hour's drive south of my house in North Austin, located in the quaint town of Buda. Historical Buda reminds me a lot of my hometown of Mendocino. There might not be an ocean view, but the main street buildings are frozen in time, and little shops beg you to park your car and overspend on treasures that prove you were there-to remind you of the magic of handmade, artisan crafts. I have yet to park and spend, but I hear the store fronts whisper temptations each time I drive by. So why drive that far to visit Dr. Carney, besides exploration of small Texas towns? Dr. Carney is a vegan MD. She is extremely knowledgeable on vegan lifestyles, and doesn't roll her eyes at me when I state I believe most ailments can be cured by drinking water and eating plant based foods. She has posters of Forks over Knives in each of her rooms at her practice, along with a display of vegan foods- such as soy curls, vegan books, and vitamins which she also sells at her office. She is amazing, and I am so happy I found her. Vegans of Austin, if you need a doctor, she is highly recommended from a lady who avoids doctors at all costs! I wish I could say that I started up my vegan blog again to just shout praises for an amazing vegan doctor, which is partly the case, but what Dr. Carney told me after completing the lab work on my blood is the real reason. I am skinny, and I eat a lot. I exercise somewhat regularly, lifting weights while I watch tv, practice yoga a few times a week in my living room when I wake up, take my dogs hiking in the beautiful Austin green belt. I do not have a gym membership, and I have never run a marathon. But I am fairly fit, though there is always room for improvement. I have eaten a 100% cholesterol-free diet for over a decade, and guess what? Yesterday at the Doctor's office, I found out I have abnormally HIGH cholesterol. My B12 was perfect, along with iron, and calcium. All the nutrients that I've always been bullied to think that vegans will be deficient in. The only vitamin that I am lacking in is Vitamin D, severely in fact. I bought some of Dr. Carney's D supplements (vegan of course), and am on a new regimen to hopefully bring that up to where it should be so I will no longer be at risk for Cancer, Diabetes, or Depression. No big deal, a few minutes in the sun daily is also recommended. Which I shouldn't have a problem with out here in TX. But the cholesterol blew my mind. I was not expecting it. The normal, "healthy" range is from 70-100. Preferable to stay under 100. Anything over 150 is reaching dangerous, "unhealthy" levels. Where was I on that spectrum? 220. Two Hundred Twenty? Me? The Vegan? After the years of being vegan that I have under my belt, I am well aware of the junk-food vegan. Vegans who eat everything that is unbelievably vegan regardless of high fructose corn syrup, partially hydrogenated oils, processed, packaged crap (such as Pilsbury's Cream Cheese Frosting- totally vegan, however not healthy in the slightly for obvious reasons). I am not a junk food vegan. Quite the opposite. Though my parents growing up were not vegetarian, my mom was a health nut hippy. She has never drank a coca-cola in her LIFE. I love that about her. Growing up she would dry apples, and make her own fruit roll ups for our lunches in her dehydrator. It was awesome. I still get cravings for her homemade, home roasted granolas. Yumm. I do have a sweet tooth, but rather than eat the artificial candies, I prefer rich dark chocolates, homemade, whole-wheat cookies, and the occasional vegan baked goods bought from a vegan trailer or health food store. I might buy one bar of chocolate once a month, and nibble tiny pieces away each night until its gone. In the summers I'll splurge and buy a pint of vegan ice cream once every month or so- if that. The only sweetener I use is a drop of agave syrup in my one morning cup of coffee. Other than that, no sweets. Fats? I use earth balance on my toast (whole sprouted wheat breads only), which is a pretty normal breakfast for me. I like Daiya "cheeses" but limit myself to eating them just a few times a week. My husband and I love vegetables of all kinds. We cook just about everything with a small drizzle of extra virgin olive oil and sauté onions, garlic, jalepenos as our base for soups, sauces, dishes of all kinds. We eat whole wheat pastas, kale and collard greens (2-3 times a week), lots of beans (all kinds), and lots of brown rice. I read somewhere years ago that its recommended to eat 7 almonds a day for a healthy heart, and also as a vegan assumed I needed all the protein from nuts. Almonds, peanuts, walnuts, pinenuts, cashews, yum I love them. And healthy for me, right? Wrong. I do have cards stacked against me, as there is a long line of heart disease on my dad's side of the family tree, but I never thought any of that would effect me. The vegan. But I am not immune. What do I do? Luckily, I am 29, and still young enough to change my diet and my lifestyle to change the effects that time will have on my body if I keep living the way I do now. I am very thankful that I have the knowledge now and I am determined to learn more, and make the changes, no matter how challenging. This blog is being revived, as a tool for me to learn a new way of cooking, eating, and living without using heated oils, without eating nuts or coconuts or avocados, without consuming sugars, and to lower my cholesterol to a healthy level and keep it there. "But I love chocolate, how often can I eat it? It has antioxidants though, right? Right now I only eat it about once a month? Can I keep doing that?" I asked my doctor. Her disheartening response was, "Buy one chocolate on New Year's Eve, and let yourself enjoy that chocolate for that one special time each year." Wow. This is a big deal. I know this is going to be a challenge, but I am determined to be healthy. I am determined to learn more about nutrition. I am determined to make the life changes I need, and I hope to raise awareness out there, to any other vegans reading or non-vegans for that matter, to get your blood work done. I am not a fan of doctors, and I felt great for so many years. I ate what I thought was, "right" and stayed active, so why see a doctor? I'm healthy, I thought. Seeing my lab results is eye-opening. I am still in shock. But information is power, and we all have the power to change. 1 cup barley cooked over the stove with onion, garlic power, parsley, cumin, chile power, dash of curry power, fresh jalepenos, zucchini, and fresh cracked pepper. Juice of one fresh lime. A little bit of bragg's liquid aminos. Tonight I plan to make kale. Not sure how I will prepare it, but I have a head of fresh kale that is washed and ready to throw in a sauce, steam or eat raw. My doctor said that to lower my cholesterol, and for optimal protein per calorie, Kale, Collard Greens, Mustard Greens, and all the really thick hearty greens are what I need to be eating every day. 2 times a day if possible. Greens, greens greens. My husband and I love them, and eat them 2-3 times a week as is, but that is not enough. She said that I can also buy them frozen which will be a lot more conducive for our busy schedules, as having time to shop more than once a week, buying fresh foods, and cooking every night is not always what we have time for. This leads to another goal, we need to start a home garden. It's a skill that everyone should have- to be able to grow their own food, especially being vegan. I was not born with a green thumb, quite the opposite, but I need to learn. Kale and collards grow wild here in Austin in the winters and I have seen friends' gardens with such plentiful harvests. There's no reason for me not to grow my own food. New chapter... here I come. Though the ten months of the year in Texas, I tend to forget that it can actually get cold here in Austin. The best cure for frozen fingertips and toes is a nice homemade cup of hot chocolate with a nip (or two) of whiskey. I've been loving my mexican hot chocolate with soy milk and a shot of whiskey. Nothing like this winter treat to warm you to the bones and scoop away all your chilly chills. I veganize this Rachel Ray recipe: soy milk instead of whole, and use agave instead of sugar, and go a little lighter on the chocolate chips, but you can mix according to your own taste. Of course, also add a nip of something naughty. Also good, a shot of malibu or peppermint schnapps (thanks for those suggestions Jody!) Delish! Add a little bit of soy whipped topping and you are ready to call it christmas.